The school library is central to learning and plays a key role as a place for encouraging innovation, curiosity, and problem solving. Your library is a catalyst for literacy and reading and for teaching and scaffolding inquiry learning. School libraries make a difference to students’ understanding and achievement and provide support for teaching and learning throughout the school. The school library is an important part of the school community and reflects and welcomes this community. Your school library plays a key role in the cultural and social life of the school. It can be a central point for engagement with all kinds of reading, cultural activities, access to information, knowledge building, deep thinking and lively discussion. Man is a social animal and to maintain relations between the people and the communities and their social customs, welfare, reforms, social laboratory methodology is widely used in experimentation. 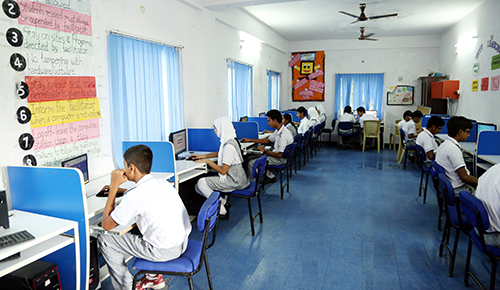 Group of subjects concerned with social sciences are taught through models, charts and various modern techniques. With the motto practice makes a man perfect; cater to the scientific needs of the students in every field of science to obtain organized knowledge by observations and testing of facts about the physical world, natural laws and society etc. 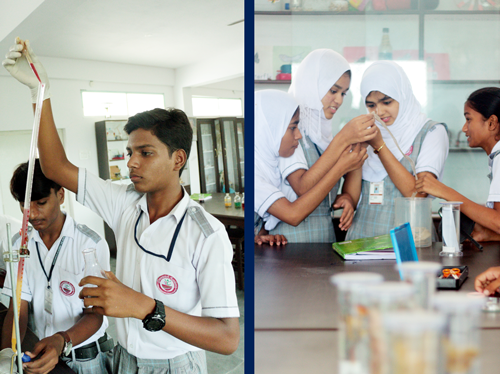 There are models, charts, apparatus equipments, kits and other study material catering to the needs of all classes with working tables for science experiments and projects.